Animal intelligence humbles me. Thank you for making me stop and admire what I often take for granted, Crystal. Nice photos. Based on watching jays in past, none of their ways that you describe surprise me. Clever they are. Thanks Bruce! I’ve been prejudiced against jays because of their obnoxious cries. 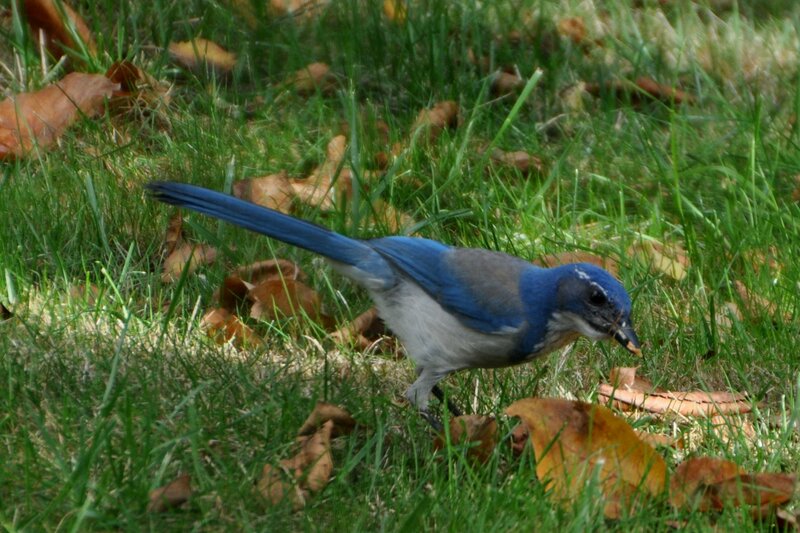 I knew that they mimicked other birds’ calls, and I knew I had to be careful when I fed peanuts to the squirrels, because the birds will swoop in and get them…but somehow before now I didn’t put those facts together and realize how smart they are. 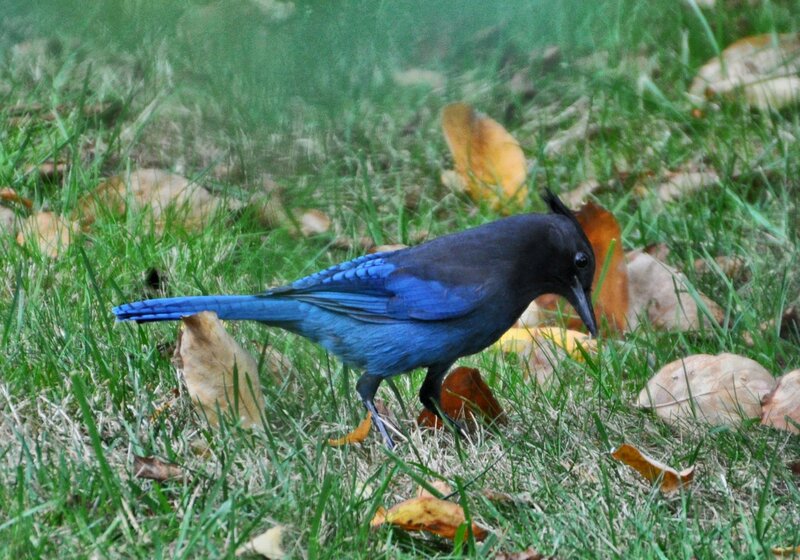 That blue color on the Stellar’s Jay is brilliant! and that photo of the squirrel is right on! I’ve loved the color of those jays since I was a girl. 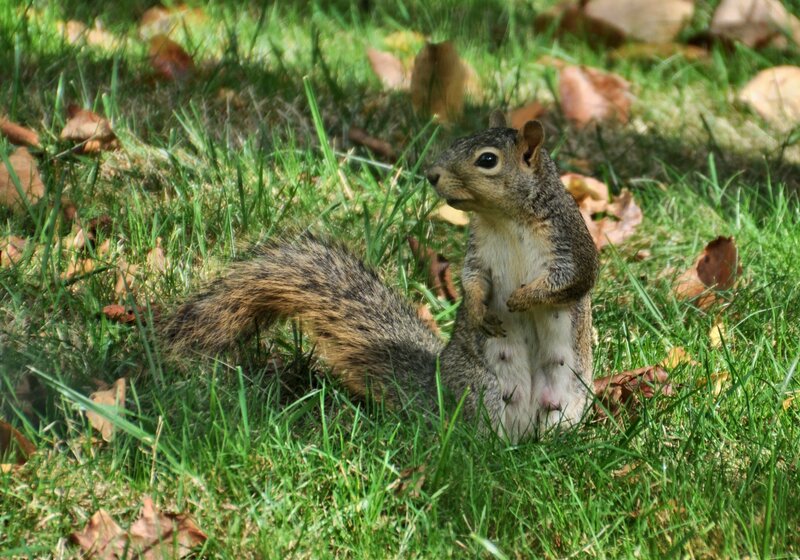 And check out the girl squirrel. The pose is just too funny! 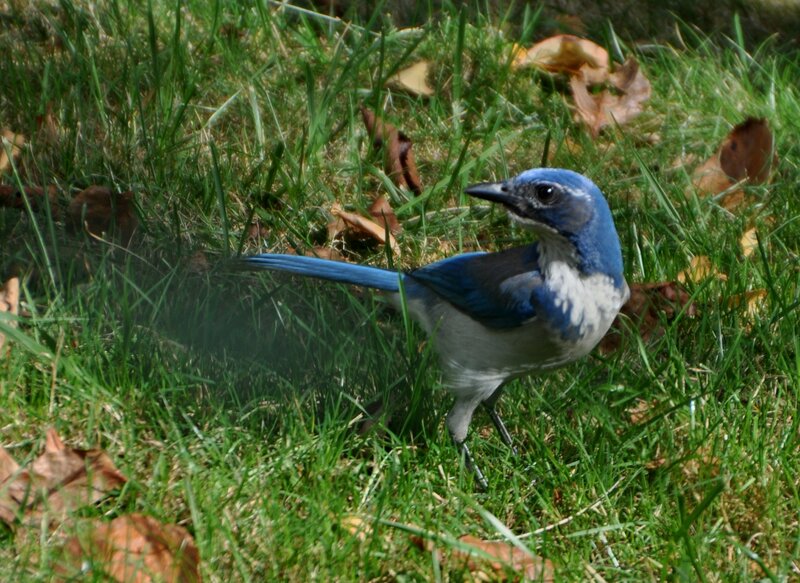 The Scrub Jay and the Stellar’s Jay are so wonderful to look at, Crystal! I have always collected birds, mainly robins but love to look at all the living birds I can! I collect them too! In a folder on my desktop. 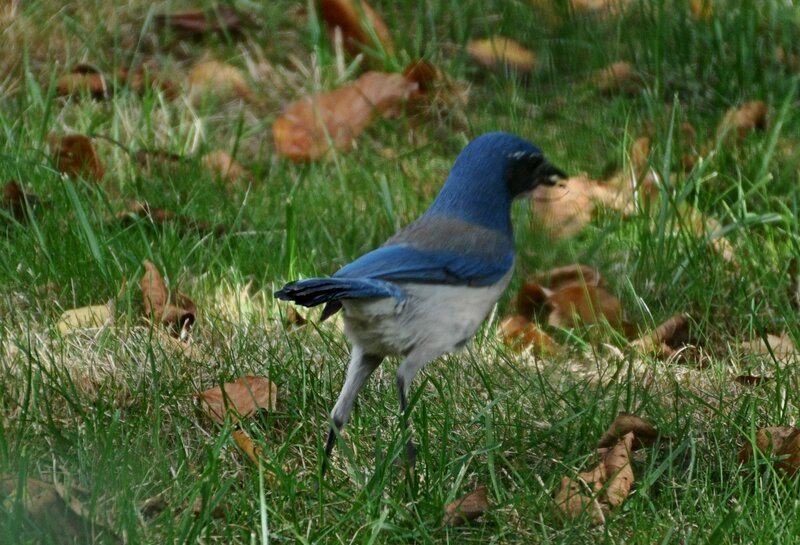 I try to take photos of all the birds I see in my back yard, so I can make sure of what they are.